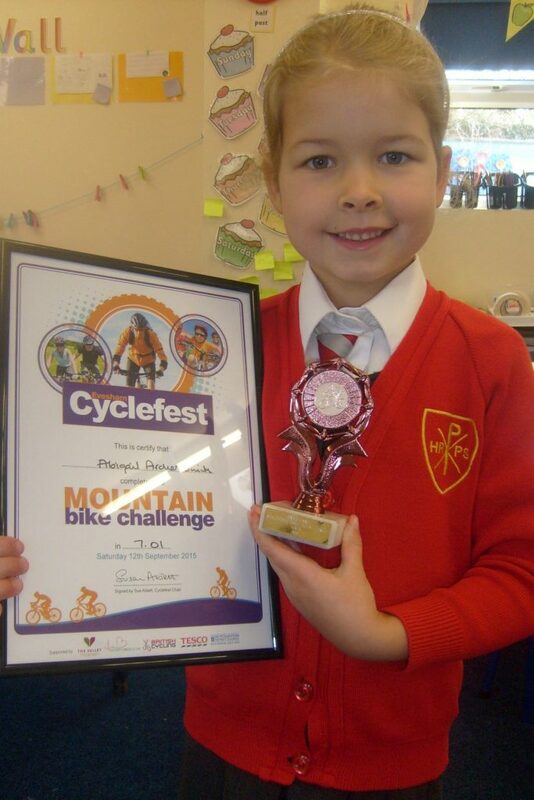 Abigail in Year 1 took part in her first mountain bike race, Evesham Cyclefest. She raced against other children of different ages and did brilliantly! She was proud that on her second attempt she went 10 seconds quicker! She brought in her trophy and certificate to share with us all. Well done Abigail- we are all very proud of you too! ← Bring your teddy to school day!